A few different experiences last week reinforced my conviction that storytelling can constitute significant “action” and advancement, including work done in networks for (and as) change. The first was during a session that I co-delivered on behalf of IISC with the Graustein Memorial Fund and The Color of Words, about our work with an early childhood system change effort in Connecticut called Right From the Start. During the conference session we emphasized that one of the biggest leverage points for system change is at the level of narrative and belief systems. My colleague Magalis Martinez from The Color of Words showed this immersive story/video to participants in our conference session to great effect in that it elicited empathy, additional and related stories, and a fuller sense of how the system is (not) working for many. In this sense, story has a way of moving, engaging, and connecting hearts and minds. Then later last week I worked with a network design team for a national change initiative, and began our time by facilitating a storytelling exercise focused on people’s paths to the work they currently do. To a person, participants found this to be a very revealing, bonding, and important experience, which grounded our later conversations in a deeper sense of trust and respect. It is not uncommon for people who have worked together for years to engage in this exercise and learn things they never knew about their colleagues and to see one another in a new and enhanced light. This can have the impact of moving shared work forward in ways that were previously not possible. Divide the group into trios. Often it works best if the person facilitating chooses the trios to create opportunities to bridge boundaries and group people who do not usually work together. Once everyone is with two partners, tell them that they will be telling each other their life story, in 7 minutes each. The only rules are that the people listening must listen as intently as they can and make as little noise as possible (no reassurances, no interruptions, and no questions). Tell the trios that they should choose who will go first (Person A), then let them know when to start. NOTE: Sometimes people are inclined to tell their entire life story in 7 minutes (I tried this the first time I participated). This is not the point. Rather, with time being relatively short, the invitation is to speak to what is most essential. This can come in the form of a single moment in time, or a few different snippets of one’s biography. The assumption here is that we speak to what is most important to us. When 7 minutes are up, invite persons B and C to take 2 minutes to reflect back the values they heard conveyed in Person A’s story. When those 2 minutes are up, invite Person A to take 1 minute to share with Person B and Person C what s/he, in fact, values. Then shift to Person B telling her/his story and repeat steps 3 and 4 above. Then invite Person C to share her/his story and repeat steps 3 and 4. Bring the full group back together and ask them what they noticed. How do they feel? 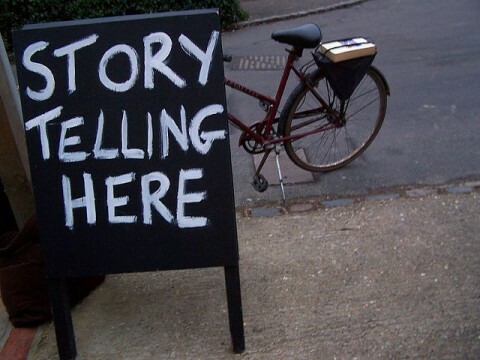 NOTE: I vary the storytelling invitation. Last week, I invited people to tell a story that explained what led them to do the work they currently do around food systems and food justice. This exercise is designed to both build connection through listening and to show how values often come through most clearly in story. We may or may not explicitly name them, though they will reveal themselves if we are paying attention. I had one of those powerful experiences with storytelling last week at the WK Kellogg Foundation’s First Food Forum. Over lunch, three women of color told their stories about the challenges they faced with breastfeeding and aspects of the health care system. There was hardly a dry eye in the house after these three TED-style stories. And, I can’t imagine anyone who was on the fence about the reality of structural racism staying on the fence after hearing those eloquent stories of appalling situations and treatment they experienced because of their race. Powerful! Thanks for sharing, Cynthia.